The case surrounding the division of the South Padre Island Birding and Nature Center Boardwalk and Convention Centre Boardwalk on the Island is slated to be brought before Cameron County Commissioners Court in an open meeting on Aug. 4, said Cameron County Parks Director Javier Mendez. All parties, including the city and county agree that the root of the prob­lem is communication issues. 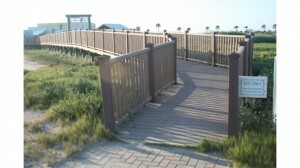 The boardwalk was divided two years ago, as previously reported by the PRESS, due to a disagreement of usage fees. The Birding Center sought to charge for usage of the boardwalk when entering from their newer addi­tion, however, the boardwalk had pre­viously been a free-of-charge entity of the county. To see this story in print, pick up a copy of the July 28 edition of the Port Isabel South Padre Press or check out our E-edition by clicking here.